2015 has already been a big year for the Social Starts team. We now have 135 investments across our three funds and have been named to lists of top early stage VC funds. To keep our growth trajectory high as well as add more top advisors who can help our portfolio companies, we have grown the team. We are thrilled to welcome Kevin Dasch as Chief Operating Officer and Charles Smith, Jun Li and Jim Louderback as Venture Partners to Social Starts. Kevin Dasch, as Social Starts’ COO, is responsible for all our finance, operations and investor relations. Kevin has been part of the Social Starts family for some time: as the Chief Operating Officer of Spredfast, Inc. where he was responsible for integrating Mass Relevance, a Social Starts portfolio company, together with Spredfast after their merger. Kevin became CFO of Mass Relevance in early 2012, leading finance, operations, legal, HR and corporate development. While there he helped the company scale from 20 to 160 employees in two years. Kevin has 18 years of experience in technology and spent the last decade working in social media and gaming. Prior to Spredfast, he spent five years at IMVU - first as VP, Finance and Business Development, then as Chief Revenue Officer. Kevin also spent seven years at Dell, the last two of which were leading the company’s Corporate Strategy Group, reporting to the Office of the CEO. Kevin earned a B.A. in History from Princeton University and an M.B.A. in Finance and Accounting from The McCombs School of Business at The University of Texas at Austin. Our three new venture partners bring an extensive background in media and experience with technology, enterprise software and the China market. Charles Smith has been an active New York angel investor since the mid-1990s. He has invested in more than a dozen companies, and has worked for and sat on the boards of ten more. He founded Extension Entertainment, a social music discovery platform and is the owner of The Ineo Group LLC. Charles spent three years as the Vice President of Etsy Inc., was Vice President of Sales at Tacoda and Executive Vice President of Corporate Development and Planning at RealMedia. Jun Li is a Senior Vice President of Beyondsoft and managing partner of Beyondsoft's US Startup investment. She has over 16 years industry experience in enterprise software and services. Previously, Jun led Beyondsoft's US Strategic Account Business Group, growing revenue from $3 million to $65 million, building and leading a high performance team of over 2,000 people Her Microsoft Practice team received the 2014 Global Preferred Supplier Excellence Award. Jun often consults Fortune 500 companies and startups on their China go-to-market strategy. Before joining Beyondsoft, she worked at Microsoft and CompareNet. Jun is also a long-time member of the Tsinghua Entrepreneur and Executive Club (TEEC), mentoring and contributing to the startup communities in both US and China. 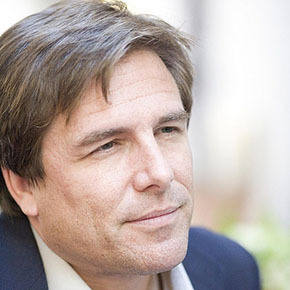 Jim Louderback became CEO of Revision3 in 2007, and led the startup to a 20-fold increase in viewers, a 12x increase in revenue, 39 new distribution partners and 9 prestigious company and show awards. In 2012 he sold the company to Discovery Communications and led the integration of the company into Discovery. During his two and a half years at Discovery he launched and acquired 6 new networks, and transformed the group into Discovery Digital Networks, which he ran as General Manager. Since leaving Discovery, Jim has been advising startups, working with larger organizations on their media and technology strategies and curating the Industry track of Vidcon 2015 as editorial director. Earlier in his career, Jim spent 16 years in increasingly senior media and technology management roles – leading startups, growth businesses and turnarounds. He most recently served as senior vice president and chief content officer for Ziff Davis Media’s Consumer group, along with being Editor in Chief of PC Magazine. Jim was also a senior member of the launch team at cable network ZDTV, and guided its transformation into TechTV. He also ran editorial operations at special-interest newspapers and magazines. About Social Starts Social Starts is a $20M+ venture fund family. We support entrepreneurs whose companies serve the Social Construct, that change in human behavior generated by social/mobile technology. We invest at the moment of inception and Series A in five primary areas: media, marketing analytics, social platforms, mobile commerce and Internet of Things software. Our team has developed dominant media, research and tech companies in the three modern tech revolutions – PC, Internet and Social. Our portfolio companies benefit from the resulting rich perspective and world-class connections, a mutually supportive community of more than 130 fellow start-ups, and support from our LPs, who include leading figures in software development, marketing and media from 3 continents. Newer PostDo We Need to Work to Survive Anymore?